HYTERA TC-320U2 UHF 450-470 MHz - 16 CHANNEL PORTABLE RADIO Comes as pictured with Radio, battery, antenna, carrying strap/lanyard, belt clip, user manual and USB charger. All are new in original packaging. 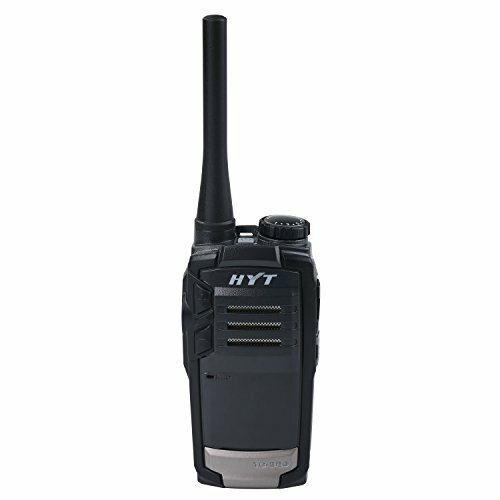 Hytera's TC-320 is unique for its compact and professional design, as well as its superb sound quality. Its strong casing prevents damage against drops of up to five feet and its high capacity battery provides over 9 hours of reliable operation. This radio enables businesses to enjoy dependable communications at an extremely low cost. It is the perfect solution for hotels, retail stores, and schools. This product enables users to fully enjoy the benefits of real-time communication with favorable price. Durable Casing Compact durable design that can with stand a 1.5 meter drop. Long Battery Life 1700mAh high capacity Li-Ion battery lasts approximately 12hrs. User Friendly Design With its ergonomic design, this slim and compact radio can enhance user comfort, while maintaining a professional and fashionable appearance. Double Injection Molding The combination of double injection molding and grip technology brings users a comfortable and convenient operation experience. Mini-USB Interface Chargeable and Programmable through the Mini-USB port, plug directly into an outlet or the optional charger. If you have any questions about this product by Hytera, contact us by completing and submitting the form below. If you are looking for a specif part number, please include it with your message.